Fully is a company that many people already know, and one that has produced a number of great standing desk products. Their full height adjustable standing desk, known as the Jarvis, is rated by many as the best standing desk on the market. In fact, we have included this very product in a couple of our favorite lists such as our list of the top 6 height adjustable desks. 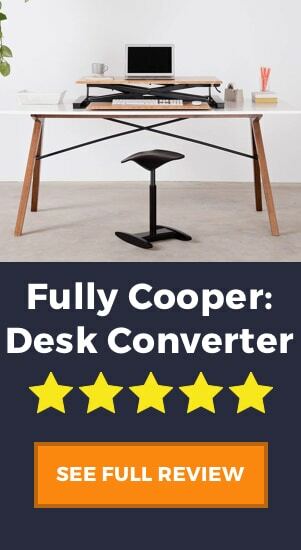 We previously wrote a review on one of Fully’s other products, the Cooper standing desk converter, which has proven itself to be an amazing product. 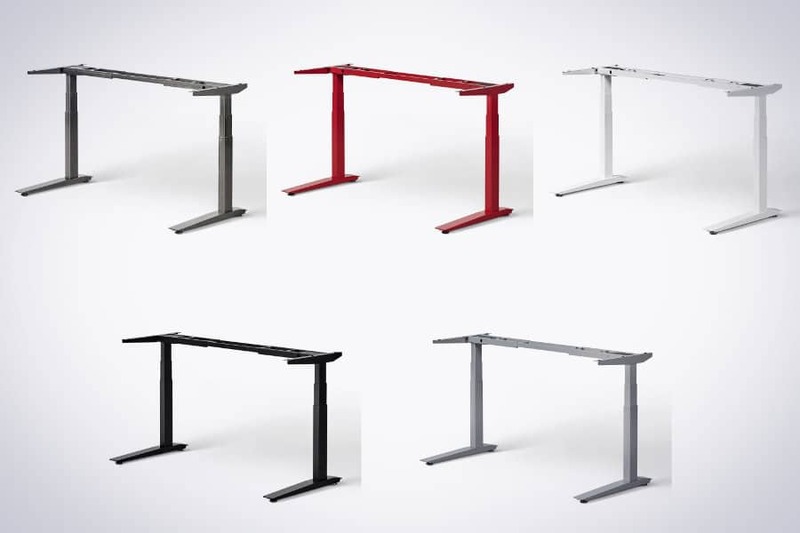 It is one of the market’s best sellers and is truly a great solution for people looking for desk riser. So, you may think if that is anything to go by, the Jarvis should also be great, right?! Well, let’s take a better look! 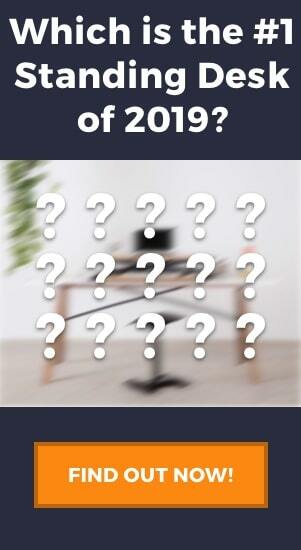 CHECK IT OUT: Take a look at what we believe are the best height adjustable standing desks in 2019. The Jarvis is a full standing desk, meaning that acts as a replacement to your current desk and workstation. There are many styles and sizes available, including a manual version and many different desktop finishes. The key to this product, however, is not in the finishes (although these are very stylish), but is in the quality and adjustability of the frame. The frame is robust and extendable and creates a very stable surface for a large range of desktop sizes. The Jarvis frame comes in black, white, silver, alloy, or red. If you want to buy the desk with one of Fully’s desktops, which come in a range of bamboo, powder-coated, laminate, reclaimed wood, whiteboard, or even an extremely elegant white oak finish, you can do so via their website. For those of you feeling a bit more DIY and who need just a frame to use with a desktop you already own, then you are able to just buy the frame too. As we mentioned, the Jarvis is far from a simple “one size fits all” product, and in fact is one of the more customizable standing desks available. This means there are quite a few different product specifications to examine, and we’ll try break them down here. One of the first benefits of the Jarvis is the customizability of the desk. You can buy the frame only, or you can choose from a wide variety of desktop finishes. Currently in their selection is the durable and eco-friendly bamboo (the most popular), as well as laminate, powder-coated, reclaimed wood, white oak, whiteboard, and hardwood. We love the bamboo finish for its eco-friendly nature and the look itself is unique, but we understand that it’s not for everyone so its great to have such a large selection. As we mentioned, the most popular finish of the Jarvis is the bamboo desktop. Bamboo is one of the most sustainable wood materials available which is a huge plus for the environment. Furthermore, bamboo is very hard so will be a good scratch-resistant tabletop. The Jarvis frame is a Chinese-manufactured frame from the company JieCang. It includes a strong motor that is quiet, strong, and fast. At under 50 dB, the frame is whisper quiet when in motion, which is a huge benefit when in an office environment. You don’t want to be annoying all your colleagues! Not only quiet, the desk is capable of holding up to 350 lbs (including the desktop). This is one the strongest of all standing desks, as you can see in our list here. It holds up well in the speed department too, going up and down at a rate of 1.5″ per second. Lastly, and our favorite part, the desk has a programmable console (this is a paid add-on), that allows the user to pre-set four different heights. If you switch from sitting to standing often throughout the day, this will be a lifesaver! As you can see in the product specifications, the desktop comes in a variety of shapes and sizes. Firstly, you can have a rectangular or contoured desk. We see this purely as a personal preference, although note that the contoured desk is available in fewer sizes. Next, you can select the size. The Jarvis has possibly the biggest selection of desktop sizes, ranging from only 30″ wide to 78″. The key to this is once again in the frame, which has a telescopic center that connects the two legs. This means that if you have your own desktop you can easily adjust the telescopic section to make your desk wider or narrower. Range in our opinion is one of the most key factors for a standing desk. For tall and short people alike, the idea behind a standing desk is for maximum ergonomic benefits. This means that you need to have the desk at a correct height for both seated work and standing work, otherwise you could just cause yourself more issues. 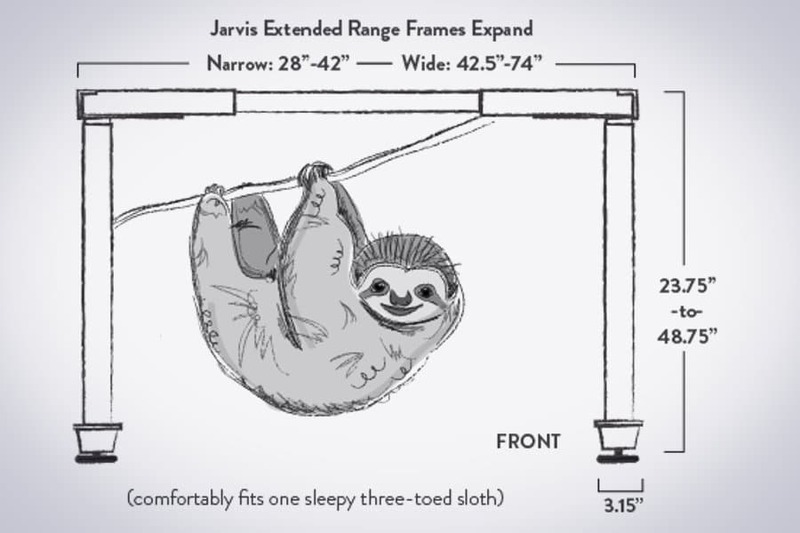 The Jarvis has two frames, mid-range and extended, from which we definitely recommend the extended range frame. It’s only marginally more expensive (an additional $25), but gives you over 5″ more range from 24.5″ to 50″ when fully extended. One thing we can’t argue with is the price, so if you’re looking for a standing desk that won’t break the bank, then look no further. Compared to other standing desks the Jarvis is one of the cheapest, and one of the best performing. 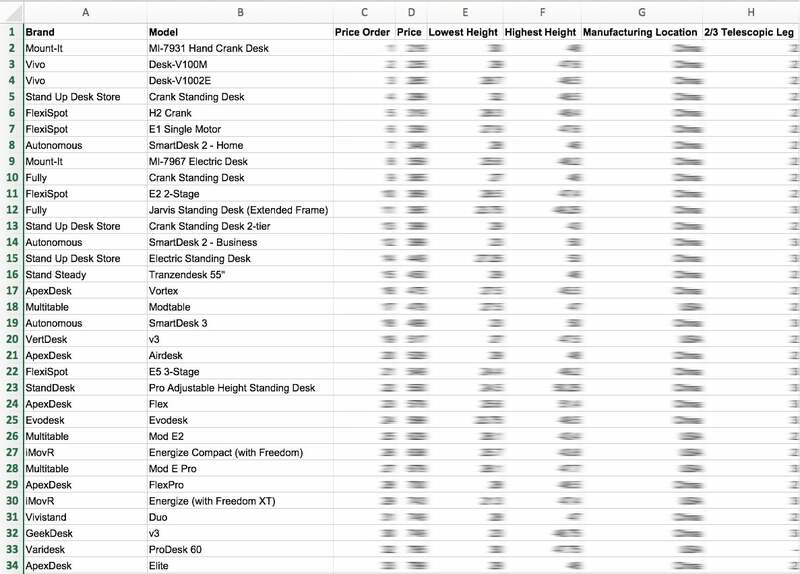 Admittedly, if the price is the only factor you’re looking at then there are some even cheaper options (specifically manual standing desks), but in terms of a quality to price ratio then the Jarvis is tough to beat. Again, like the extended frame, cable management is an add-on, but one we definitely recommend. Although every photo you’ll see of a standing desk looks neat and beautiful, we can almost guarantee once you put up a monitor, keyboard, laptop, and all the chargers and cables, yours probably won’t look the same! That’s why we like the fact you can easily add a couple of grommets (holes in the desktop to feed the cables through), as well as a designated cable tray that sits out of sight behind and beneath the desktop. Here is a concern that a number of users have mentioned and a topic that is a little polemic for the Jarvis. Fully claims that the Jarvis is the most stable standing desk available on two legs. Firstly we think you should look at the video made by Fully regarding the stability. A few customers, however, have complained of wobbles and shakes. These wobbles seem to affect the side-to-side movement of the desk, not the forward and back, and obviously get worse as the desk goes up. In our opinion, stability is one of the key factors in buying a desk, because if a desktop wobbles too much then it is extremely frustrating and difficult to work. Another issue we have discovered with the desk is the assembly. The Jarvis comes flat-packed and in a number of parts, so if you’d like to see how to assemble the Jarvis standing desk you can see this video here. The complaint, however, comes from the fact that occasionally parts are missing, holes and screws are incorrectly placed, and the assembly, in general, is not as straightforward as people had hoped. Remember, most full desks will be like this and require some form of assembly, so if you don’t feel confident with this part we suggest you look at a desk converter which generally will come ready-to-use from the box. The final factor that we believe is worth consideration is the lack of keyboard tray. Now, we’re not saying that a tray is absolutely necessary, and in fact, there are many people who dislike using a keyboard tray altogether. In saying this, we believe a keyboard tray, such as the ones seen in the iMovR Everest, take a lot of strain off your hands and wrists. If you suffer from wrist pain, then we think it is worthwhile considering the extra investment for this feature. Well, in the end, what it all comes down to is value for money. 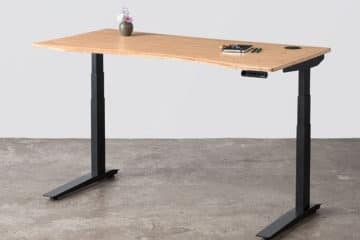 We wouldn’t say that the Jarvis is the best standing desk on the market, because you can find other premium desks that cost over $2000 that definitely outperform this product. However, what we can say is that dollar for dollar, this may be one of, if not the best standing desks available. It is a solid, reliable product from a well-known and reputable company, and definitely a product you can trust. Despite the concerns from some users that we mentioned, it seems like the overall benefits generally outweigh the cons. Moreover, considering the Jarvis is around half the price of other premium standing desks, we’d say you’re getting pretty good bang for your buck. I’d really recommend staying away from the Jarvis. I’d contacted the company in hopes of getting one of their desks and they were nothing but unhelpful. Overall waste of time and negative experience. As an alternative I got a standing desk at Costco that sells for almost $200 less and comes with a 5 year warranty. My friend has the Jarvis and we both like my desk much more. Go to costco and save yourself $200 while getting much better support and help. Hi Jake. Thanks for your feedback and letting us know about your experience. Glad to hear that you found the best desk for your needs, and nice of you to let others know where you can get a good and cheap standing desk. Hopefully, it can help some others make a more informed decision. All the best!